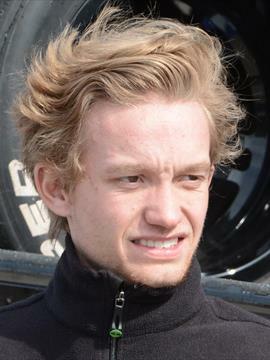 I would say Spencer Pigot is the toughest just because he’s so good on Lap One into Turn One. Outside of racing, my favorite sport to watch is basketball; I’m a huge fan and love going to games. For me, I learned a lot of things being a rookie in the series. The biggest thing would probably be getting used to more downforce and how to race with it. That’s a tough one. Fans in INDYCAR and the Mazda Road to Indy are great. I think it’s been cool when I’ve been at races that I’m not racing at but I’ve been stopped and asked for autographs anyways. Or when fans take the time to print out photos they’ve taken and give them to you. Mid-Ohio is my favorite track; I love the flowing corners and elevation change it has. It suits my style a lot. Next Next post: The Andretti-Rahal legacy. What’s in a name?